Seating Options: Ottomans and low tables. Located only 2 kilometres from the Brisbane CBD and close to Suncorp Stadium, the Normanby Hotel is a popular venue that has a number of function rooms and function spaces to cater for a variety of events of all different sizes. The split level design of the Hotel means that all functions can be held in private, away from other patrons. The Deck Area is a private function room available for cocktail functions of up to 50 people. The area is a balcony that looks out over the ground floor area, and guests can get drinks from the bar located inside. 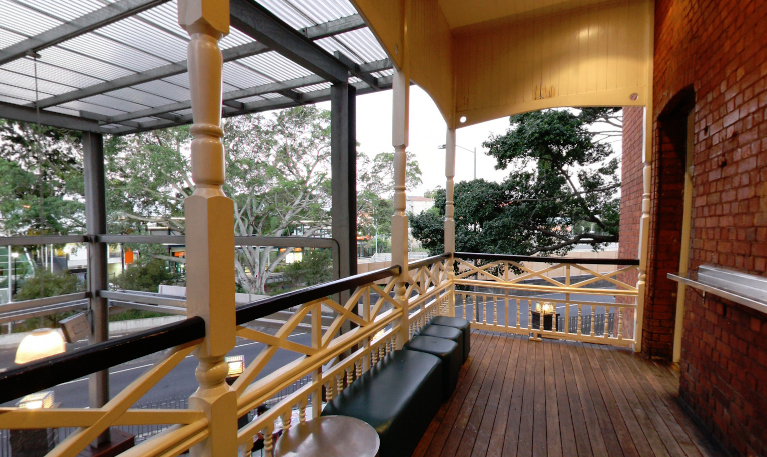 If you are looking for a Brisbane function room with no room hire cost, the Deck Area is a great option to consider. Guests supply a Cake: Yes. Cake & Present Table also provided.